These Veredus Carbon Gel Vento Colour Edition Tendon Boots are stylish and colourful making them great for matching outfits, while featuring the innovative 'Vento' ventilation system designed to offer double ventilation. The heat released from the horse's leg passes through an Aerox micro-perforated neoprene layer and is distributed across a 3D mesh ducted fabric to disperse heat. Fresh air enters through the air inlet as a result of the horse's movement and directs accumulated heat upwards to an outlet grille to keep the leg cool. The dual density, anatomically-shaped shell provides freedom of movement for the fetlock and knee while offering a high level of protection for the flexor tendon from injury and bruising. 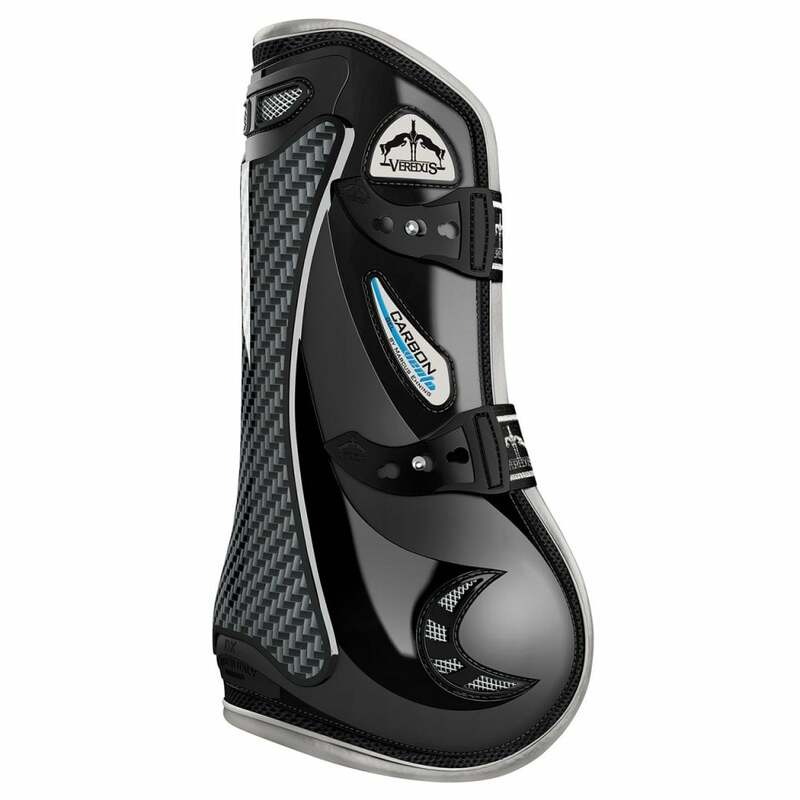 These boots also have a combination of Carbon and Nitrexgel to provide high levels of shock absorption while soft and adjustable straps with flextan tips allow fast fastening and unfastening while the closure holes narrow to ensure a secure hold.